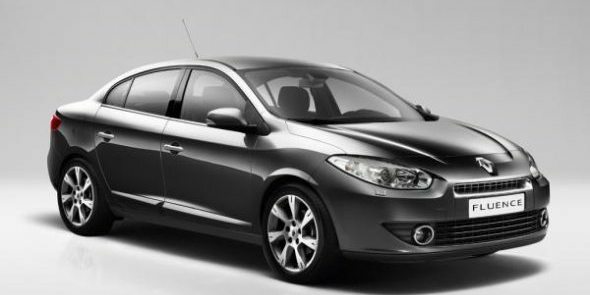 French car manufacturer, Renault expects 70% of the Fluence sedan’s sales to come from its diesel version. “On an average, we expect 70 per cent sales nationally to be of diesel models (of Fluence) and in markets like Delhi, the proportion of diesel sales would be around 65 per cent,” Len Curran, vice president, sales and marketing, Renault India was quoted as saying by the Business Standard. On May 23rd, Renault launched the Fluence priced at Rs.14.40 lakh for the petrol (automatic) version and Rs.12.99 lakh for the diesel (manual) version. The company has wisely priced the diesel version at almost Rs. 1.40 lakh lesser than the petrol variant, owing to the demand for diesel cars in the D segment that has models such as the Chevrolet Cruze, Skoda Laura and the Toyota Corolla Altis. The 1.5 litre diesel motor produces 105 bhp of power at 4,000 rpm and 240 Nm of torque at 2,000 rpm. As per ARAI rating, the fuel consumption of the Fluence diesel is 21.9 km/litre. Though Renault has priced the diesel variant aggressively, the company has stripped off some of the equipments to keep the cost under check. For instance, there are no rear AC vents, no-push button start, no rain-sensing wipers and no automatic headlamps. However, on the safety front, Renault has not made any compromise, for the diesel Fluence has ABS, EBD and a stability program, besides two airbags. Renault India has a well-scheduled plan to grab a significant chunk in the booming Indian auto market. The company has a design centre in Mumbai and a research centre in Pune besides its manufacturing plant in Chennai, which it shares with Nissan (Renault owns 44 percent of Nissan). The French car maker has planned an annual capacity of 400,000 units a year. Globally, the company sold 130,000 units of the Fluence in 60 countries last year. As for India at the moment Renault is focusing only on domestic demand and will think of exports to right-hand drive markets later. One of the challenges that Renault may have to encounter is the expansion of its sales and service network across the country. As per the company’s plans, from June onwards Renault will have 14 functional outlets, and by December 2011 it will have 40 outlets. By the end of 2012, Renault plans to open 100 dealerships. « Corolla Altis cheaper than the Vento Petrol!